Jarell Martin is an American professional basketball player who plays in the National Basketball Association (NBA). As of 2018, Jarell Martin currently plays for the Orlando Magic as their Power Forward. 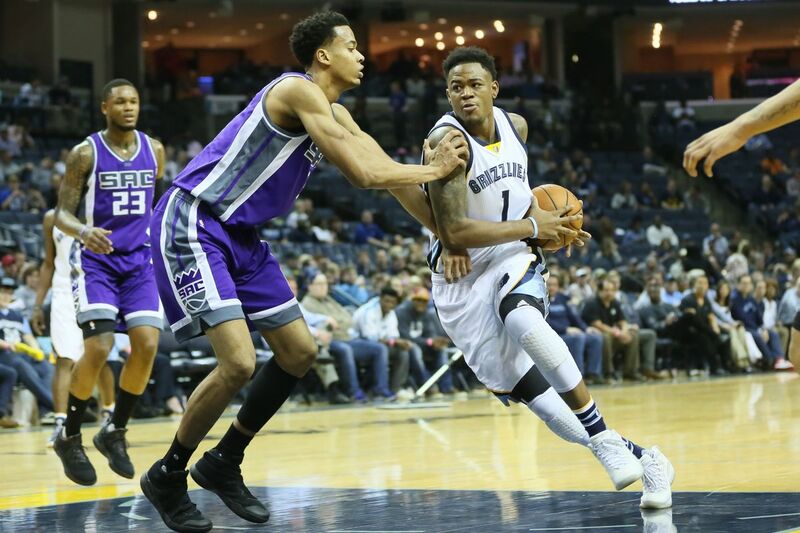 Jarell Martin has played for other teams like Memphis Grizzlies. As a Power Forward, Jarell Martin reportedly earns around $2,416,221 dollars as his yearly salary from Orlando Magic. Further, Jarell Martin has an estimated net worth of over $6.5 dollars. Jarell Martin was born on May 24, 1994, in Baton Rouge, Louisiana. As per his nationality, he is American and belongs to Afro-American ethnic group. Further, his star sign is Gemini. Jarell Martin attended Madison Prep in Baton Rouge, Louisiana where he played for his high school basketball team. After completing high school, Jarell Martin enrolled at Louisiana State University. He played for the Louisiana State University and averaged a score of 10.3 points and 4.6 rebounds per game. Martin was selected with the 25th overall pick in the 2015 NBA draft by the Memphis Grizzlies. Due to a foot injury, he didn't play in the Summer league but signed a rookie scale contract with the Grizzlies. He made his NBA debut in December against the Dallas Mavericks. In a game against the Boston Celtics, he scored a career-high 16 points. While playing as a rookie, he had multiple assignments to the Iowa Energy, the Grizzlies' D-league affiliate. Martin further recorded his first career double-double scoring 11 points and 11 rebounds against the Charlotte Hornets. He had multiple assignments to the Iowa Energy. On July 23, 2018, he was traded from the Grizzlies to the Orlando Magic. He currently plays along with other star players like Evan Fournier, Jerian Grant, Isaiah Briscoe, Khem Birch, etc. There is no information available regarding Martin's personal life. He doesn't seem to be dating anyone. Even after going through his social media pages, we find no news or rumors related to who he's dating currently. He posts photos and videos of him playing basketball from time to time on his Instagram page. This shows that he is more focused in his career than dating anyone. As of 2018, Jarell Martin has an estimated net worth of over $6.5 dollars. Further, the NBA player has an average salary of $2,416,221 dollars annually. Jarell Martin so far has made earnings of about $6.5 dollars from his entire NBA career. He further has a collection of few cars. Other than being a famous NBA Power Forward, Jarell Martin is pretty famous in social media. He has 30k Instagram followers and 4.7k Twitter followers. Jarell Martin is not only a world-class athlete but also has a very attractive individual. The Famous NBA star is 6 feet 10 inches in height and weighs around 108 kg.